March 13, 2019 – "The Home of Organic Golf Reviews"
CARLSBAD, CALIF. (March 13, 2019) – TaylorMade Golf Company, an industry leader in product innovation and technology, today formally announced TP5 Pix golf balls, optically designed using advanced visual technology to offer more visibility in The Most Complete Tour Ball in TaylorMade’s product lineup. The fastest growing segment for TaylorMade in the golf ball category is a non-white (traditional) product. Golfers’ growing trend toward playing a golf ball that allows for a different look has also opened the door to improving visual performance and visual technology through the use of machinery that has never before been used in the space. Pix, derived from ‘pixelated’, was designed following extensive research with partners at Indiana University, the same team the company has used for a multitude of projects including TaylorMade’s most recent putter line, Spider X, which features the all-new True Path™ alignment system that was optically engineered to help golfers visualize the intended target line for improved putting accuracy. First and foremost, Pix™ is easier to see than a normal white golf ball. The human eye processes lighter colours more efficiently when it’s darker and darker colours when it’s lighter. It’s this phenomenon that led designers to the two-colour design of TP5 Pix. Whereas most competitive products have only one colour within a single image or shape, TP5 Pix’s unique design features 2 colours within one shape, further enhancing visibility and delivering a product that’s easy to see, regardless of the time of play during the day. Producing this shape requires a unique, one-of-a-kind printing machine which has taken more than 18 months to design and develop. In almost every sport utilizing a ball in play, the ball itself delivers immediate feedback – such as a baseball’s spin out of the pitcher’s hand. The larger contrast graphics of TP5 Pix allow golfers to see how much overall and side spin is generated around the green. Pix’s unique pattern with 12 evenly-spaced images allows the product to show spin when putting and chipping. The feedback the ball provides allows the golfer to immediately see the amount of spin being generated and the direction of that spin on shots on and around the green. The durability of graphics is a foremost concern on any golf ball with graphic or lettering, and to contest wear and smearing of the graphics on TP5 (and TP5x), engineers have utilized undercoating printing to ensure maximum graphic durability. This is the same process the TaylorMade logo and TP5 side stamp goes through to ensure the performance features of the shapes will last as long as possible. Highlighted by its new High-Flex Material (HFM) and Speed-Layer System, TaylorMade has taken the ’19 TP5(x) line to a new level of performance – built on the same platform, TP5 Pix is no exception. The new Speed-Layer System is comprised of four increasingly stiff layers, featuring a new material called HFM. HFM is the fastest material TaylorMade has ever used and is essentially a tightly wound spring and when compressed generates more rebound energy for more ball speed. The tightly wound spring characteristic of HFM also increases the force on the driver face, further increasing the speed of the golf ball when it leaves the driver face. The Tri-Fast Core consists of an extra-large, low-compression inner core (16 compression in TP5 Pix, the exact same as TP5) and a progressively stiffer outer core and mantle. The combination of these three layers work in conjunction to create lower drag and increased carry—the primary reason TP5 and TP5x have become the hottest Tour balls in golf. The Tri-Fast Core delivers breakthrough iron performance by achieving maximum carry, giving golfers of nearly every swing speed (over 60 MPH) choosing less club into the green. The Dual-Spin Cover boasts an ultra-soft cast urethane cover and a 30% more rigid inner cover. This system creates a condition that is ideal for greenside control, as the rigid inner cover forces the soft urethane cover into wedge grooves for maximum spin generation. Additional enhancements in the 2019 TP5 and TP5x models include a new Soft-Tough cast urethane cover. In order to achieve improved scuff resistance, shear resistance, and overall durability, the new cover features a cast urethane compound and new paint formulation to help each ball feel better and last longer. TP5 Pix will be available this spring across Canada at an MSRP of $59.99 CAD per dozen (Pix will be available in TP5 model). 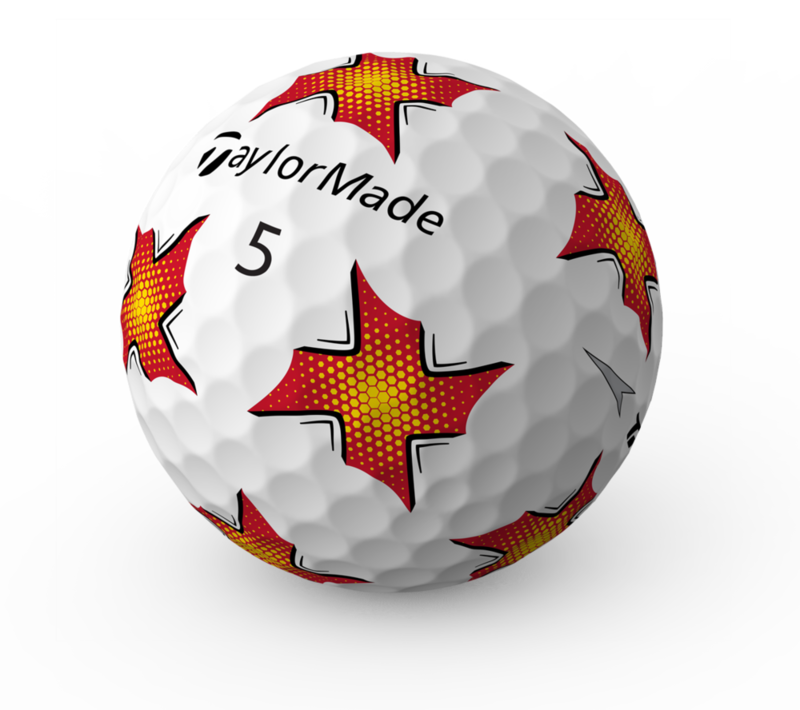 To learn more about TP5 Pix or any of TaylorMade’s golf ball offerings, visit TaylorMadeGolf.ca. Another year, and it’s another year of the playing of The Players Championship. This tournament is a little different because it’s “their” tournament. 2019 is also different for a different reason. In 2018, the PGA TOUR announced that they were going to be rearranging the schedule. The major change in the schedule was The Players being switched from its date in May to March. Honestly, I think it’s a move that only makes sense. After all, they are currently in the “Florida Swing” as they are every year at this time. Doesn’t it make sense to go forward instead of backtracking to where you’ve already been? Just because it’s a major schedule change doesn’t mean that the word major needs to be included in declaring The Players a “Fifth Major”. I wasn’t going to chime in on this topic but seeing that everyone and their uncle has I figured… Why not? After all, opinions are like arseholes. Everybody has one. While I realize that there are a million articles on the ongoing debate regarding the status of The Players becoming the TOUR’s “Fifth Major” I have my own spin on the topic. If I may be totally frank, it’s the one thing that drives me nuts about the LPGA Tour. Maybe, I’m cantankerous and stuck in my old ways but when I think of Major golf tournaments I look at the number of them being four. It’s likely a direct by-product of the men’s game. The Evian Championship wasn’t declared a “Fifth Major” until 2011. Before going on, we need to be reminded that this tournament (founded in 1994) and was once one of two Major Championships on the Ladies European Tour. It wasn’t until 2000 that it became a co-sanctioned event between the LET and the LPGA Tour. Regardless of how strong the field is at the Evian Championship, there’s just something that sounds off about a fifth major. Conversely, The Players Championship has been played since 1974 and at TPC Sawgrass – Stadium Course since 1982 in Ponte Vedra, FL. So by simple mathematics, it is older than the Evian Championship. The field is as strong as they get year-in and year-out giving it the sense of being a major. But why does The Players Championship need to have the label of “The Fifth Major”? Marketing… to make people happy? I just find it hard to find a reason why we need to have a “Fifth Major”. When a baseball player hits a “Grand Slam” does he touch four bases and home plate? No! It seems small, petty, and trivial but did Bobby Jones win the “Grand Bingo Bango Bongo” or whichever marketing term you’d choose to use. No! There’s something that just sounds “right” and poetic about Rory or Brooks chasing the career “Grand Slam”. Hey! While we’re at it… let’s take away Tiger’s Grand Slam. Heck, that shouldn’t count any longer. I know that statement will resonate with many readers. It just seems like when discussions like this come up there is one thing affected by it. History. Why is it that this generation or era just feels a need to change history? It doesn’t necessarily relate to golf… but society in general. History is a phenomenal thing. History has defined us… shaped us. Good moments and bad. It’s just not renaming things or changing history or leaving heritage behind but this society also has a strong urge to be “butthurt” if they don’t like something. Hell, I’ve seen some people suggest nixing the PGA Championship in favor of replacing it with The Players Championship to keep it at four. The Wanamaker Trophy has been handed out to the winner since 1916. Erase it right?! My opinion regarding The Players is this. The Players Championship doesn’t need to be a “Fifth Major”. Every person that is a golf fan and observer knows and understands that this tournament is a “big deal”. The field is huge, the purse is bigger. It’s just not your every week tournament. It’s special and it’s practically its own entity. Just leave it alone and “Plead the Fifth”.